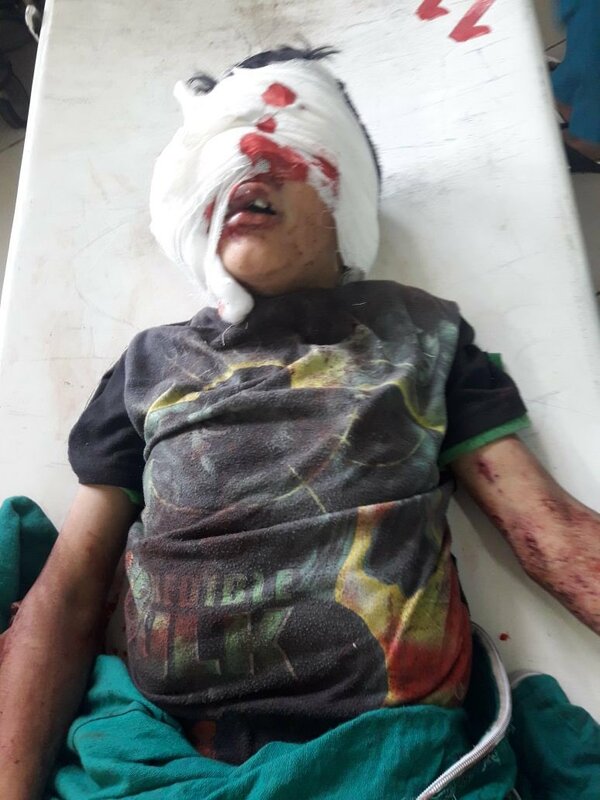 Srinagar, July 12 (KMS): In occupied Kashmir, the Chairman of Hurriyat forum, Mirwaiz Umar Farooq has expressed shock and grief over the death of a 12-year-old child, Saliq Khursheed of Meemander, Shopian, and grave injuries to three other children in an explosion on Wednesday. Mirwaiz Umar Farooq in a statement issued in Srinagar said, “Our children are not safe even while playing.” He said with each passing day Kashmiris pay the cost of the lingering dispute as the world looks on and there is little effort to put an end the tragedy that Kashmir has become. “Unending pain inflicted on the Kashmiri people was only because of the fact that people demand their birthright and its is high time for New Delhi to accept the ground realities and resolve the lingering Kashmir dispute as per the aspirations of Kashmiri people,” the Mirwaiz said. Meanwhile, the Hurriyat forum spokesman in a statement in Srinagar condemned the continued house arrest of its Chairman, Mirwaiz Umar Farooq, saying that after being released for just a day after almost a week-long house detention Mirwaiz was once again placed under house arrest at his Nigeen residence. He also denounced the continued house detention of APHC Chairman, Syed Ali Gilani, arrest of JKLF Chairman, Muhammad Yasin Malik and arrest of dozens of leaders across Kashmir terming it as a political vendetta.